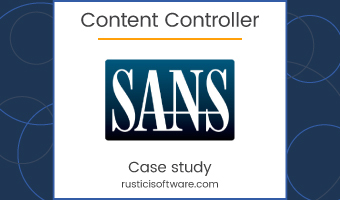 Content Controller is a web-based application that lets you centrally host your content and seamlessly deliver it to hundreds of LMSs. Say goodbye to deployment struggles and cumbersome manual distribution. Say hello to automatically updating versions, enforcing content licenses, capturing course analytics and easily managing multiple languages. It’s a whole new world. Content Controller supports SCORM, xAPI, cmi5, AICC and LTI. Whether you sell eLearning content, deliver product training or manage employee learning, it’s essential to make sure learners always have the latest version of a course. Unfortunately, that usually means a ton of manual effort spent herding cats, err…we mean courses. Content Controller ensures the best, most up-to-date content is always served to learners. Upload a new version into Content Controller and, with just the click of a button, deliver it to all of the LMSs in your network. Content Controller gives you control over your intellectual property by allowing you to automatically disable access when subscription terms like learner count or expiration date are met. Content providers who have visibility into how many learners are using their courses are finally able to build and protect a recurring revenue stream. Question-level analytics in sharable reports let you see who uses your courses and how. Now you can finally understand usage patterns across all of your clients and their learners. Seeing how your courses are actually being used helps you craft strategic content plans and identify how to create more effective courses to help you sell more. If you offer your courses in multiple languages, this one’s for you. 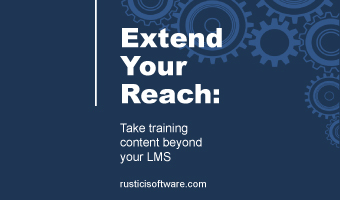 Content Controller helps you deliver one course file to an LMS and the learner gets to decide which language to use. This feature streamlines administrator time required to import and assign courses. Even better, it provides an awesome user experience for learners who can take a course in the language of their choice. Want to keep learning? Check out one of these resources related to Content Controller. These are just some of the companies using Content Controller today. We’d love to help you identify how Content Controller can help your organization, whether by answering questions or giving you a demo.